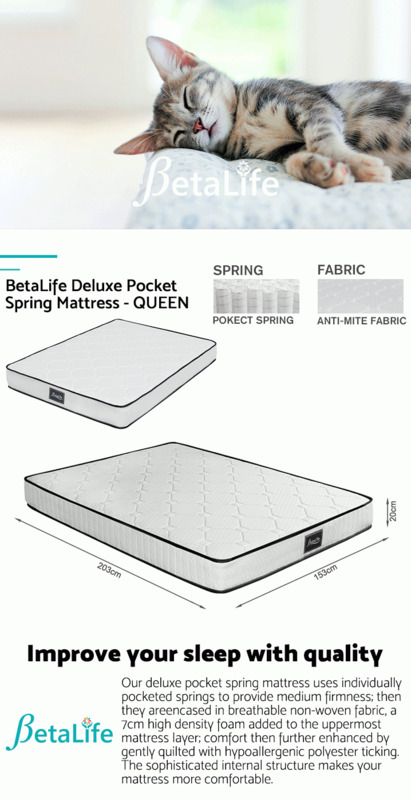 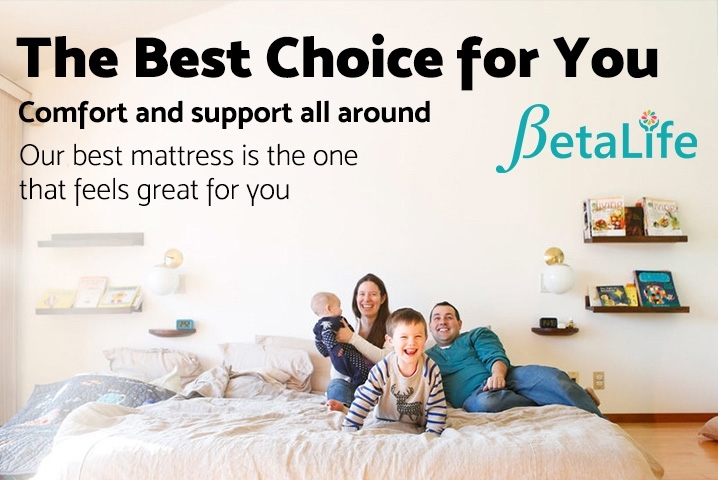 BetaLife Mattresses selected pocket spring system over the traditional coil spring as we know this is way more ergonomic by taking different levels of pressure that comes from different parts of body - head, shoulder and hip, enhancing back support. 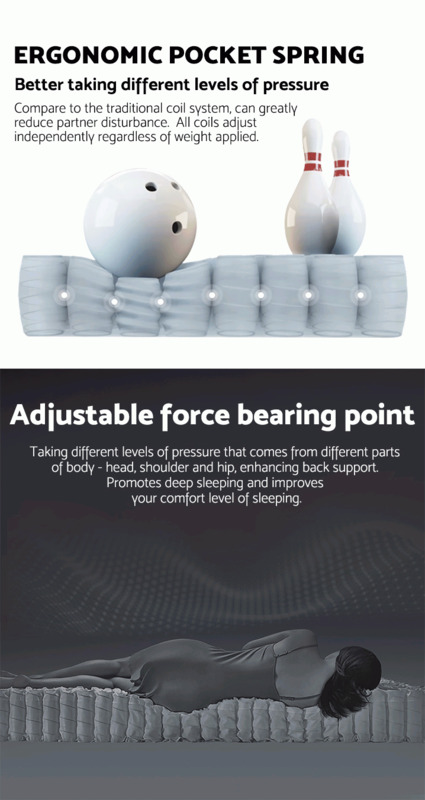 Most advantageous feature being it greatly reduces partner disturbance by minimising motion transfer. 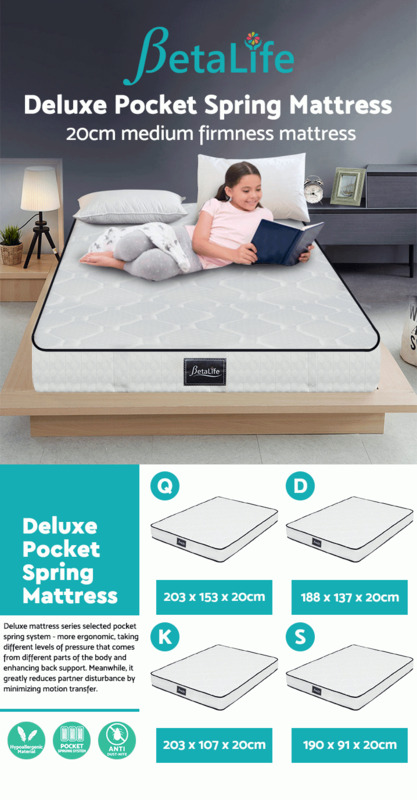 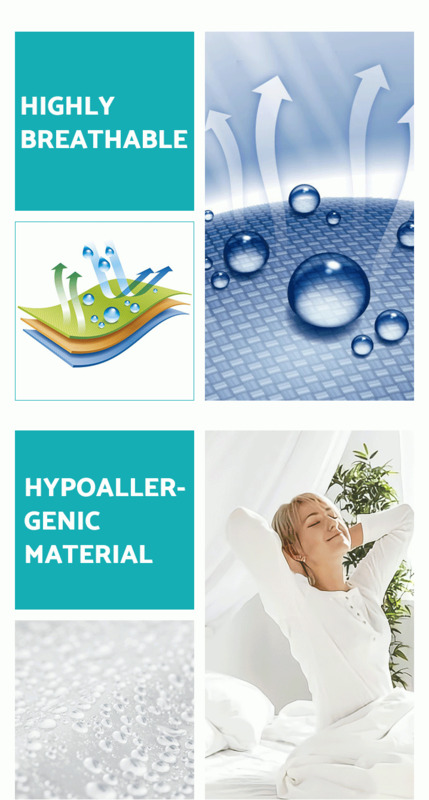 Deluxe mattress series uses individual pocketed springs to provide medium firmness; they are then encased in breathable non-woven fabric; upholstered with high density foam ; comfort then further enhanced by gently quilted with hypoallergenic polyester ticking.